products of Oncology, Immunology and Nuclear Medicine. Originators are developed after many years of laboratory and clinical research and they are subject to strict regulations that ensure their quality, safety and effectiveness. The aforementioned drugs are prescribed and should be used only following medical guidance and always according to the approved by the National Organization for Medicines guidelines (EOF). Providing safe generics gives patients who would not be able to buy the originator, access to effective treatment, while it saves a great amount of money for the national health system and releases the resources for more expensive treatments. 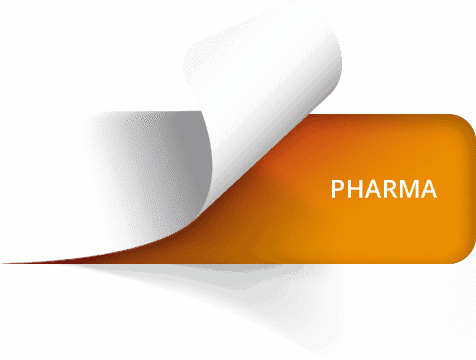 Introducing Biosimilars in the international pharmaceutical market improves patients' access to effective treatments, it allows the medical community to provide cost-effective choices and it reduces significantly the total cost of treatment and of the total pharmaceutical expenditure. Nuclear Medicine studies the structure and the metabolism of human tissues, with the use of radiopharmaceuticals and radioisotopes. It is an important, rapidly changing sector, which develops products vital to human health. SPECT (Single Photon Emission Computed Tomography) Radiopharmaceuticals and radioisotopes. They are administered intravenously and selectively absorbed by the organs and tissues, providing useful information for the assessment of organ function and for the diagnosis of possible failures. In vitro radioisotopes are used to quantify the level of various substances (tumor markers, proteins) in biological fluids (blood, serum, plasma, saliva, urine). Therapeutic radiopharmaceuticals which have the advantage of concentrating on the pathogenesis and administering energy, without damaging healthy tissues and without burdening the organism with toxins.